This pic may look like I'm celebrating, and I probably should be. Well, ok, I am. But there is a reason for the hesitancy. Over the past 6-8 months, I 'have had' to completely reformulate my roll-on deodorants. That may not sound like much to you, but to me it has been a pain in the backside. It took years to perfect my deodorant formula – a carefully balanced cocktail of 4 active ingredients. During the course of last year, two of those active ingredients disappeared from from the stocklist at a couple of my suppliers. I can still source them, but the signs are all too clear: they're on the way out. This kind of thing happens all the time, and not just to 'the little guys' like me. It is generally accepted as 'the way things are' that there is a constant development and evolution of a great number of ingredients in the cosmetics as well as the food industry. Manufacturers just have to go with the flow. Being forced back to the deodorant formulating drawing board has been a bit of a process for me. Many batches have been ongoing with the formulator mumbling things like 'this really shouldn't be necessary' along with grumblings that aren't nearly as polite. Nonetheless, the job had to be done. Testing of the latest formula has brought 100% thumbs up, so we have a winner – again. 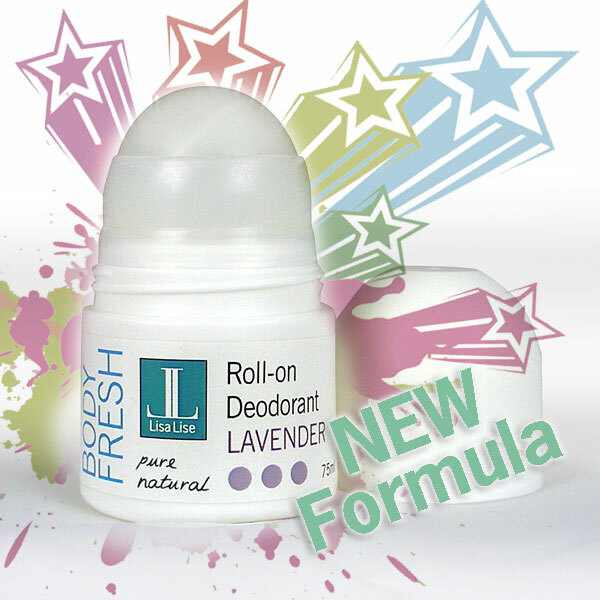 The almost-all-new lavender deodorant is ready to go. Compared to the old formula, both the feel and effect are the same: goes on smooth, dries quickly and delivers all day protection. But the scent is different. Not bad different, but noticeably different. It has a spicier undertone, which actually gives the scent more depth and makes it more of a unisex thing. So maybe, after all of the grumbling, it's a result worth a little celebrating. And there's more. Well, actually, less. Hard-core-purists will be happy to know my deodorants no longer contain lemon ester or farnesol. We may just have to do a new label design. Meantime, now that the lavender version is ready, I better get back to work on the Lemon Balm and Geranium versions. Ah, yes.... I knew that I had come across a deodorant recipe using Farnesol a few years ago and I found it this morning. This was from 2013 from Aromantic in the UK and uses water, xanthum gum, deocrystal powder, aloe vera concentrate, lemon ester, farnesol, castor oil and a preservative. It is packaged in a similar roll-on bottle. Will be interested in learning what your version contains.